We would like to take a moment and thank everyone for their support. Our facebook page has 349 fans from 13 countries and 7 states. Our Youtube video has 724 views, and our website is complete with photos, music, a calendar and bios. Moreover, our first show at the TCC International Festival was a smashing success. We appreciate all the support and would like to say thank you to everyone who is helping to spread the word. 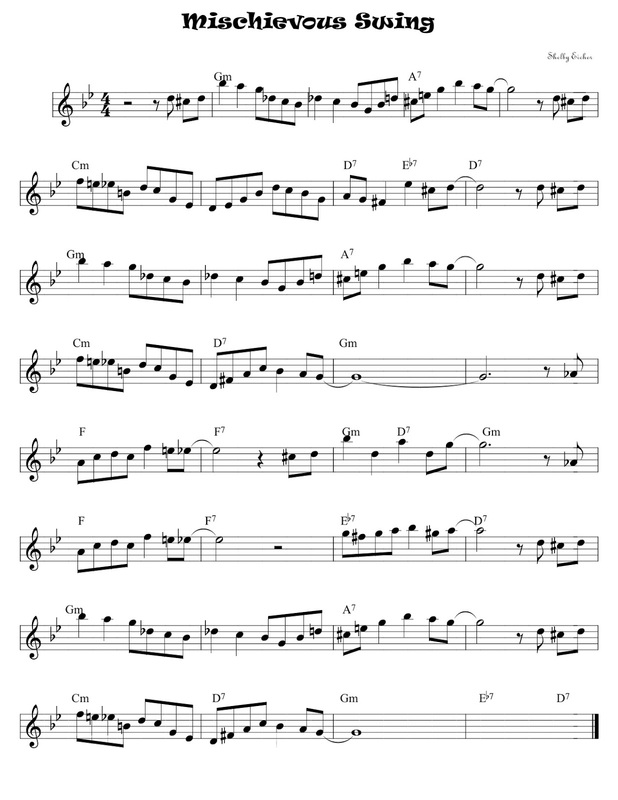 -Give Away Sheet Music for the song "Mischievous Swing"
Knowing that many musicians follow the band, we thought it would be appropriate for our newsletter to provide sheet music for Mischievous Swing original tunes. For the first issue, the best choice seemed to be our Theme Song. In the next issue we will let you know how the recording session went, alert you to any new gigs, begin a 4 part series on the band members of Mischievous Swing and continue our series providing sheet music to of Mischievous Swing original tunes.